Lacuna Coil’s 119th show was undoubtedly one of the weirdest gigs I have been to in the most incredible way. Not only was the music brilliant, they put on what felt like a musical theatre production throughout the show. During the concert, the band were backed by an imaginative array of circus acts including an angel and devil dancers suspended from ribbons above the musicians playing Heavens A Lie. I have never seen a vocalist go through as many wardrobe changes as Cristina Scabbia did but it was definitely worth it when she was being suspended from the ceiling whilst delivering a breathtaking vocal performance during a piano version of Falling and Wide Awake. The Lacuna Circus concluded with a fiery finally as the band were joined by an aerial hoop acrobat and fire dancers. 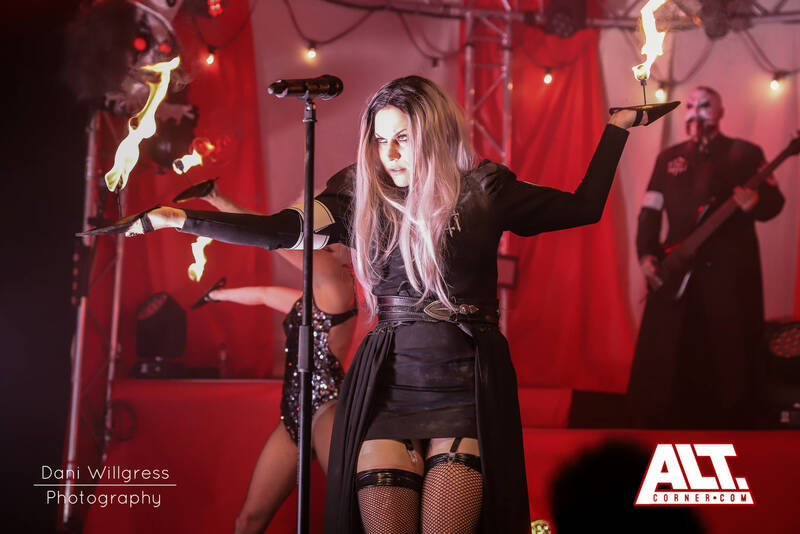 Lacuna Coil put on an inconceivable 119th show with creepy clowns and insane circus acts, what more could you want to celebrate your bands 20th anniversary? Alternative, Gothic Rock, Rock Music.